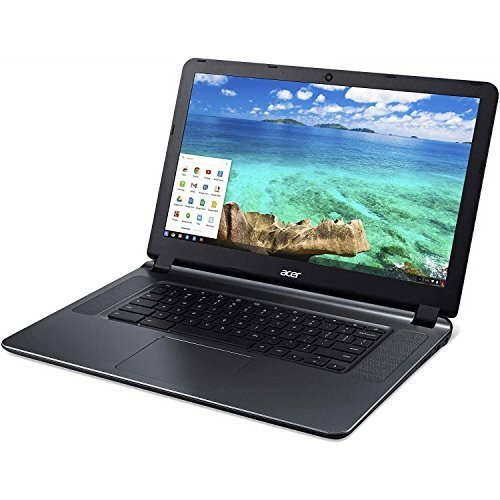 Acer CB3-532 has a bigger screen. 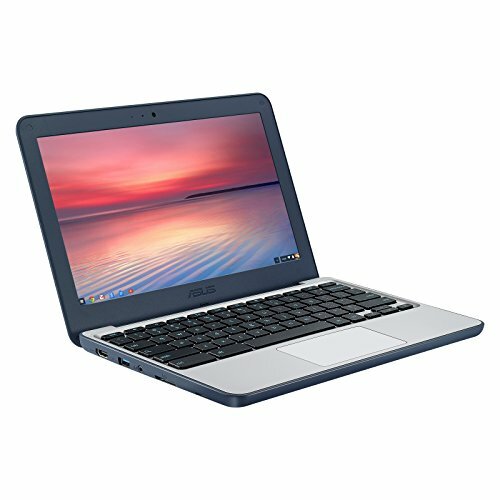 For carrying ASUS Chromebook is lighter and smaller in size. CB3-532 has more SSD storage. Google Chrome OS 11.6" multitouch screen for hands-on control. Typical 1366 x 768 HD resolution. IPS technology for wide viewing angles. Energy-efficient LED backlight. 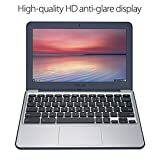 Intel Celeron processor N3060 Entry-level dual-core processor for general e-mail, Internet and productivity tasks. 2GB system memory for basic multitasking 16GB eMMC flash memory. This ultracompact memory system is ideal for mobile devices and applications, providing enhanced storage capabilities, streamlined data management, quick boot-up times and support for high-definition video playback. Intel HD Graphics 400 Weighs 2.76 lbs. and measures 0.8" thin Ultraportable design, featuring a smaller screen size and omitting the DVD/CD drive to achieve the compact form factor. 3-cell lithium ion battery. The Corning Gorilla glass display resists scratches and withstands minor impact damage. Bluetooth interface syncs with compatible devices 1 USB 3.0 port maximizes the latest high-speed devices. Also includes 1 USB 2.0 port to connect more accessories and peripherals. The USB 3.0 port is backward-compatible with USB 2.0 devices (at 2.0 speeds). HDMI output expands your viewing options Built-in media reader for simple photo transferSupports SD memory card formats. Next-Gen Intel Wireless-AC connectivity (2x2, 867 Mbps)Connect to a Wireless-AC router for nearly 6x the speed, more capacity and wider coverage than Wireless-N (150 Mbps). Backward-compatible with other Wi-Fi networks and hotspots. Built-in HD webcam with microphone Additional ports Headphone/microphone combo jack. 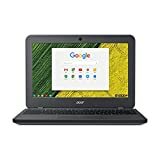 Note: This Chromebook does not include a built-in DVD/CD drive.